My seester’s in-laws have an old tree that grows the sweetest pomegranates I’ve ever tasted. The seeds are sugary sweet with just a hint of tartness. And the color is an intense deep shade of burgundy. I love to throw these gems into salads, parfaits, desserts and most recently, to flavor vodka. Infused vodkas are super easy to make and add a great flavor and kick to cocktails. To make pomegranate infused vodka, fill a mason jar (or other clean, resealable container) about 2/3 way up with pomegranate seeds. Top off the jar with vodka and use a wooden spoon to crush up the seeds a bit to help release some of the juices. Cap the jar and refrigerate for about 2 weeks, shaking the jar every few days. Voila! 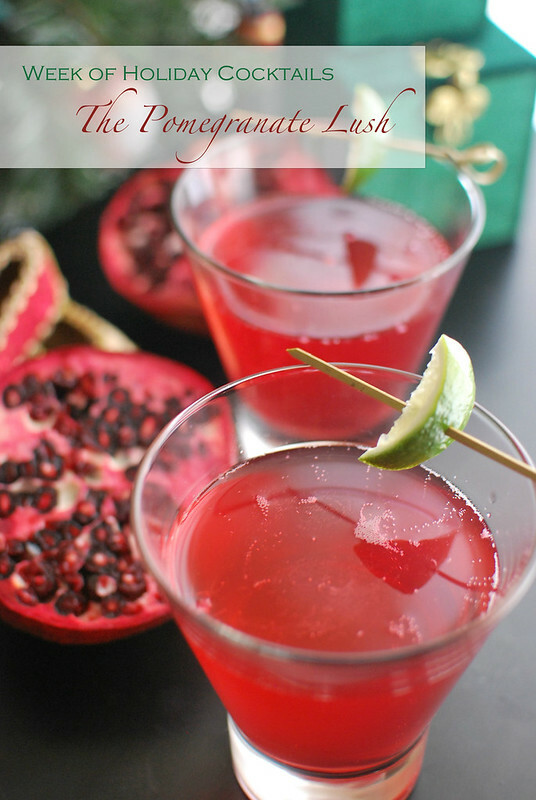 Pomegranate infused vodka at your disposal. 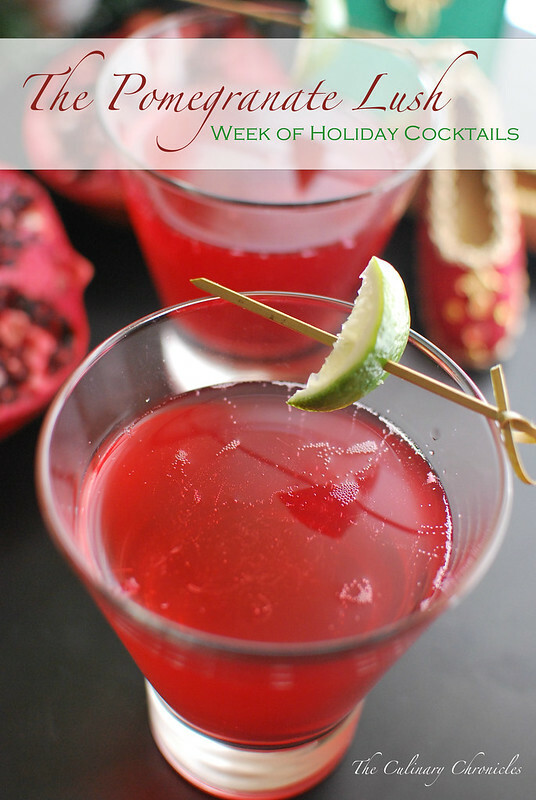 This boozy goodnes is perfect for holiday cocktails because of it’s gorgeous hue and it packs a devilish punch. The vodka goes down quite smooth since it’s so tasty which can be a dangerous combo. Pour the vodka, simple syrup and lime juice into a glass or champagne flute. Slowly fill the glass with the sparkling wine and enjoy!